Q: When should I call a locksmith? A: There are many situations in which it is a good idea to call a locksmith. 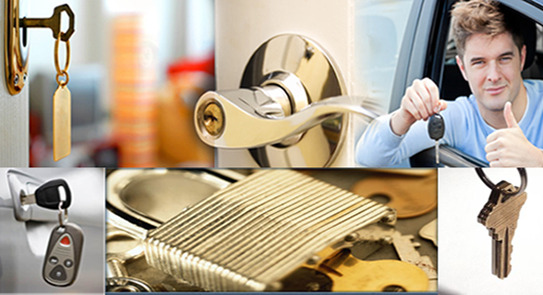 At Locksmith Fort Lauderdale we can provide you with any locksmith service that you need. We make keys for homes, offices and cars. We install security hardware (such as deadbolts) and access control systems. We can give you advice for your particular security need. We can help you gain access to your home, office, or car if you happen to get locked out. You name it, we can help you with it. If for some reason we cannot help you with something, we will work with you to assist you to find someone who can. Your safety is our main concern. Q: Can I schedule a specific appointment time with Fort Lauderdale Locksmith? A: At Locksmith Fort Lauderdale , we are equipped to handle emergency situations as well as scheduled appointments. Q: Should I use WD-40 or Graphite in my locks? A: The answer is easy… Don’t ever use either one in your vehicle locks. WD-40 and similar petroleum based lubricants can, over time dry into a sticky film that not only inhibits the moving parts inside the lock but also traps the dirt and road grime leading to all sorts of lock failure. Graphite is the lubricant of choice for house, office, hotel type locks. In this application it works great. Vehicle locks are a whole different animal. Because the locks come from the factory pre-greased, putting graphite in them is only going to make mud. For the health and longevity of your vehicle locks we recommend using a Teflon or silicon based lube. These are found in most hardware and home improvement stores. The particular brand that we use is Tri-Flow, but there are many others that work just as well. Q: What is a transponder key? A: A key that has a device imbedded inside which transmits and receives data. These devices contain one of over a trillion unique codes. When the key is inserted into the ignition, the transponder sends a signal to a disc-shaped antenna mounted behind the steering wheel. If the signal is recognized by the vehicles immobilizer, then the engine will start. If the signal is not recognized or has been weakened by damage to the transponder then the immobilizer will shut down vital operating systems to the engine and it will not run. This technology greatly reduces the risk of auto theft and provides a peace of mind for the vehicles owner. Q: I found my keys after you made a new one and they don’t work anymore. Why is this and how can I fix it? A: Some vehicles that are equipped with transponder technology require all previous keys to be removed from the system before a new one can be programmed in. This is not a cause for alarm. In many cases you can add these keys back into the system yourself. In some cases however, one of our techs will have to add it in for you. If this has happened to you, then please e-mail or call us, we will be glad to help you. Q: How is my Transponder key programmed? A: Every car is programmed differently. Most Transponder keys come preprogrammed with a fixed code. This means that it cannot be changed to match the vehicle. The solution to this is to program the vehicle to recognize the new code. This is done with a variety of equipment depending on the year make and model of the vehicle. Q: What is a Laser Cut key? A: Contrary to its name, lasers are not used to cut these keys. This term refers to keys with the milling on the side rather than on the top and bottom. For years only high end manufacturers like Mercedes and BMW used this style of higher security. These days however, A good number of vehicles including Honda, GM, VW, Lexus, Infinity, Volvo, Saab, Audi and many more use them. Getting a copy of one of these keys can sometimes be very difficult. Getting a key replaced when there are no keys can even be a nightmare. That is of course if you don’t call us. We have the ability and equipment to copy, or even generate a new one of these “laser cut” keys. To sweeten the deal, we come to you! no driving, no waiting rooms, no hassle. Q: Why should I make sure that I hire a licensed, professional locksmith? A: Unfortunately, there are many individuals out there who are working as locksmiths but are not licensed. Most of the time these unlicensed, inexperienced, unprofessional ?locksmiths? are simply trying to earn as much money as possible and therefore will give deleterious and misguided advice. Often these people do not have any real experience or training in the security industry and are motivated by greed. Only a licensed locksmith can give you qualified advice and recommendations regarding security solutions (both physical and electronic) for your home or business. Q: My wood door is hard to lock, I have to exert a lot of force to get it locked. What’s the problem? A: Buildings tend to shift and settle. Wood has a tendency to expand during humid weather and contract during dry weather. This all affects alignment of the hardware on your door. Our expert staff can determine a remedy that best suits your specific situation. Q: My key is difficult to turn, should I force the key until it turns? A: Exerting force will likely break the key off in your lock. It sounds like the key you are using has gone out of manufacturer’s specifications due to excessive wear. Your best course of action is to call a Professional Locksmith to help deal with this situation. Q: How do I know if the lock on my door is Master Keyed? A: The only way to know for sure is to have a Professional Locksmith disassemble the lock in question. Most apartment buildings are Master Keyed out of convenience to the Landlord or Property Owner. In the event of an emergency only 1 key is required to enter any suite in the building. The problem that exists is that up to 32 different keys could operate a Master Keyed lock. We recommend adding a second deadbolt to your Apartment door that operates with only one key.